The Logitech Squeezebox really tickled our fancy. This product will forever change the way we listen to music. We like it, in part, because the Internet provides tons of free choices from radio stations all over the world. It would be fair to go into the ring not expecting much of a fight out of the plucky $300 Logitech — it’s based on fairly lossy streaming Internet audio after all and built on good if not basically mediocre drivers. But no. It sounds good. Not audiophile, but you’re not paying for audiophile either, are you? 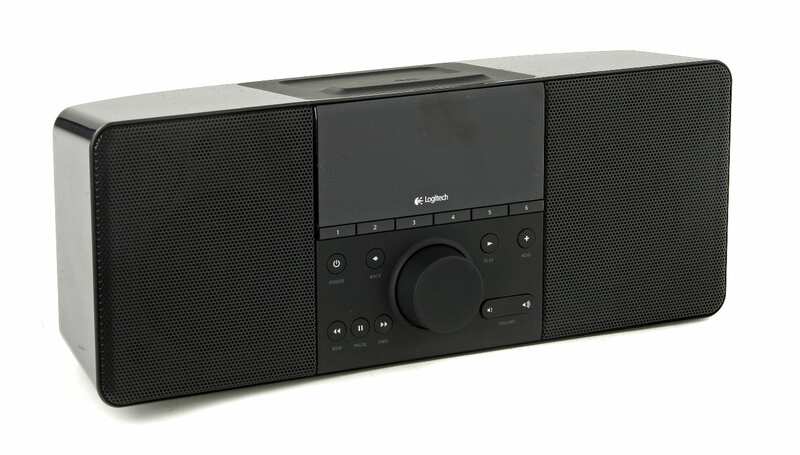 One of the funnest things about the Logitech Squeezebox Boom is listening to Radio One London from an apartment in Boston. That’s why Blast loves the Squeezebox: expanded horizons. There are some free Internet radio stations and plenty of premium pay services, but you can also download Logitech’s software to any computer and access your entire collection of music — including lossless FLAC audio for better sounding songs. Tuning via a knob is much easier than tediously and repeatedly pressing buttons over and over, so that’s a big plus as well. Download an audio design white paper on the Squeezebox Boom. Pros: Internet radio provides a number of free choices from radio stations all over the world, giving you not only a wide range of music, but a little culture. A ton of the content is free, and you can also stream your existing music collection from your computer to the Squeezebox. It plugs into your network or downloads via Wi-Fi. Cons: You have to download special software to send your MP3s and music files to the device. It doesn’t automatically find them on your network. The final word: This is really more of a lifestyle choice than an impulse buy, meaning it will change your music listening life. We loved it. Don’t miss John Guilfoil’s “Five ways to listen to music without an iPod” story, in The Boston Globe.